The number of visitors to the annual Event Tech Live (ETL) – the annual festival for the event technology in London – were up by over a third this year, organisers have revealed. Activity was ramped up to two days with a 1-2-1 Meeting Zone and the new ‘Experience Zone’ among them, whilst retaining ETL ‘cornerstones’ in terms of interactivity, engagement and education. 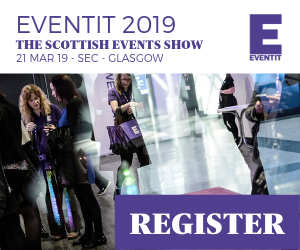 Organiser Event Industry News’ relationship with its exhibitors and visitors, its commitment to matching content to new tech and start-ups, has helped cement the exhibition’s position on the event tech calendar. On the awards front Lineup Ninja’s conference management technology, ‘the greatest admin lifesaver’, won the Launchpad competition, ETL’s annual showcase for the best new tech, while the shows five stages provided truly sought-after content. “The speaker sessions are really on point, throughout the show, everybody in the industry comes, so it’s the perfect event for us,” Laura Davidson, Director at Tag Digital, said. Adam Parry, co-founder of Event Tech Live, said: “There were more than 500 meetings in two days at the 1-2-1 Zone, 94 per cent of the them booked in advance, and the New Experience Zone made a big splash too; people really benefitted from getting hands-on, putting tech to the test in their own context. “More than the numbers, more than anything else, the feedback from sponsors, exhibitors, visitors and speakers is our gauge for how well we’re doing. The show started as a partnership, a common goal, with those companies, those individuals, and that’s exactly what it still is. Watch this space. 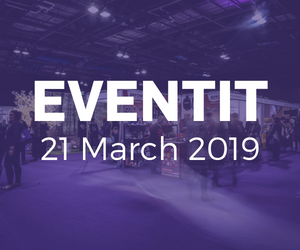 The planning for Event Tech Live 2019 has begun!